The government of Maldives has made the decision to increase air travel between the two countries, says Minister of Tourism of Maldives, Moosa Zameer. In an interview to Chinese news agency Xinhua last Wednesday, Minister Zameer noted that China is one of the leading markets for Maldivian tourism, and that the Maldivian government plans on increasing flights between the two countries by end of this year to increase the influx of tourists from China. There are currently 13 weekly flights operating between Maldives and China, most of them transit flights. Zameer said he expects the Velana International Airport (VIA) Development Project to increase the number of tourists to Maldives. While projects such as the China-Maldives Friendship Bridge are expected to increase awareness regarding Maldives among Chinese citizens. 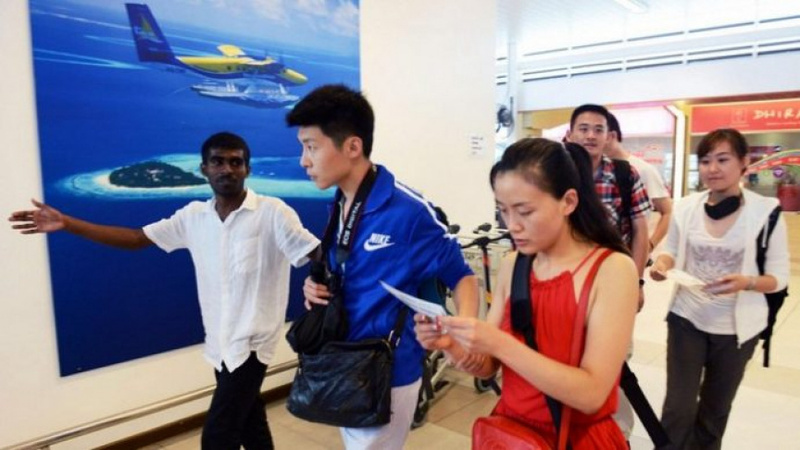 Over 104,000 Chinese tourists visited Maldives from January to May this year. Ministry of Tourism of Maldives, Ministry of Culture and Tourism of China, and the Chinese Embassy in Maldives held a China-Maldives Tourism Cooperation Forum last Tuesday to discuss ways to expand tourism. The forum was attended by government officials and leading travel operators from both Maldives and China.